Wagon R is my ride for the last 3 years and I am very satisfied with the overall performance of the vehicle. I am a civil engineer and my daily requirement includes good comfortable drive of 45 kilometers and I am getting it on a continuous basis. Taking about my Wagon R, it’s a 2008 model looks slightly boxy from the outside but looks immensely beautiful. Good looking headlights with equally smart and elegant fog lamps and broad tail lights give it a stunning look. Under the hood I have a powerful engine that serves well in all circumstances and generates good power, car easily reaches 80 and on highways you can drive it at 130 without a problem with great ride handling at all time. It’s a small car and comes with features like power steering and power windows that makes ride every comfortable and steering is very responsive and makes it a very quick and agile on turns. Don’t purchase it in black as it fades with due course of time and white or grey color offers a much longer commitment. Tyres are small but still they are equipped well to bear our filthy road vibrations pretty well and keep the interiors comfortable. Space inside is always been an issue with Wagon R and car is designed for comfortable seating of four people only. A/C works great and it’s rare to see such a nice combination of pickup and cooling in Maruti cars. 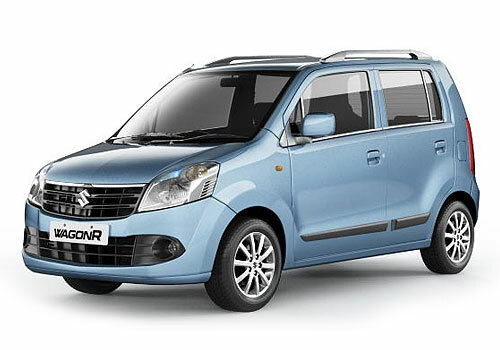 Driving in city is the most amazing aspect of Wagon R and it’s a best available wagon for city driving, easy to park anywhere and small size and powerful engine makes it very agile in traffic and is an equally nice highway wagon too but only lacks in space.